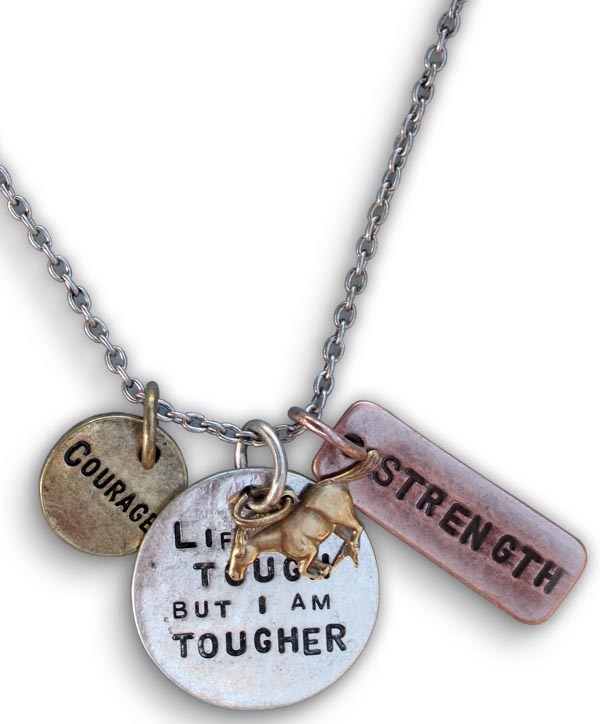 This message necklace has a casual, hand-stamped look with four charms coordinated to inspire you or someone you love. Tri-tone charms are removable allowing you to wear them together or one at a time. Largest silver charm measures about 1" x 1"